Here we will highlight some of the more interesting items in the CDHLS Archives. The archives contain a few items relating to the mills that once stood in Collingham and neighbourhood. Of these, probably six in number, only the steam mill behind what is now One-Stop on the High Street is still standing. This is believed to have been in use in 1916, but is now a private dwelling. Information on the mills is in the form of hand written notes and sketches by Collingham residents and by reference to copies of Trade Directories that are archived. Trade Directories merely list the names of millers over a century and give no clue to the location of these mills. A number of photographs are also held and three are included here. 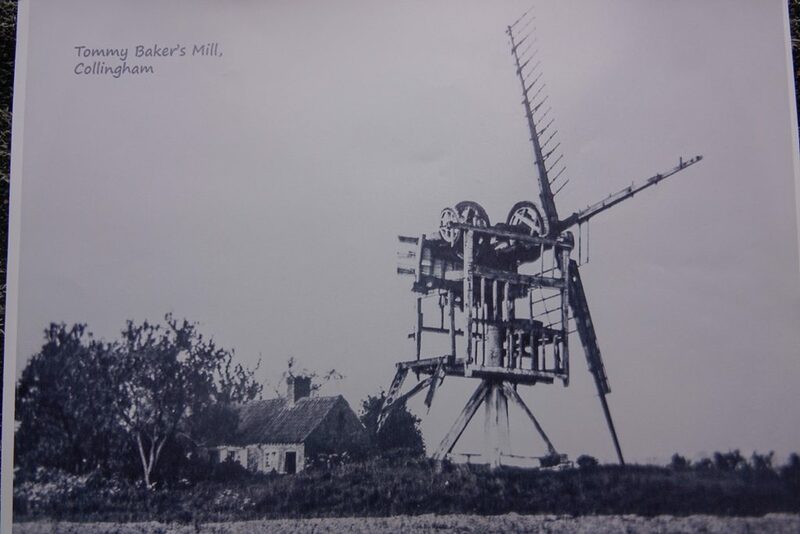 The photograph of the Post Mill during dismantlement is named as Bakers Mill. Thomas Baker, aged 66, was the miller here in the 1911 census and the mill can be seen marked on the Ordnance Survey map of 1915 held in the archives. The second photograph appears to show the same mill before dismantlement. 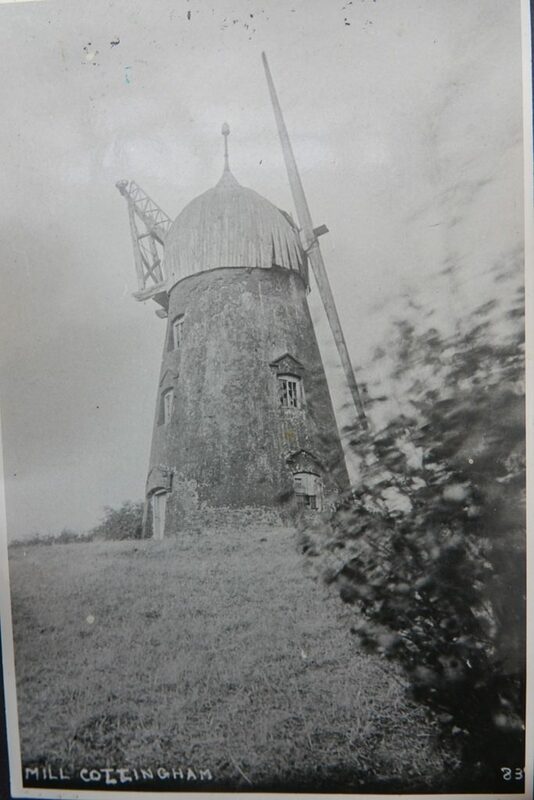 The third photograph shows a windmill with a handwritten addition. This appears to have said ‘Mill Cottingham’ before being altered to ‘Collingham’. 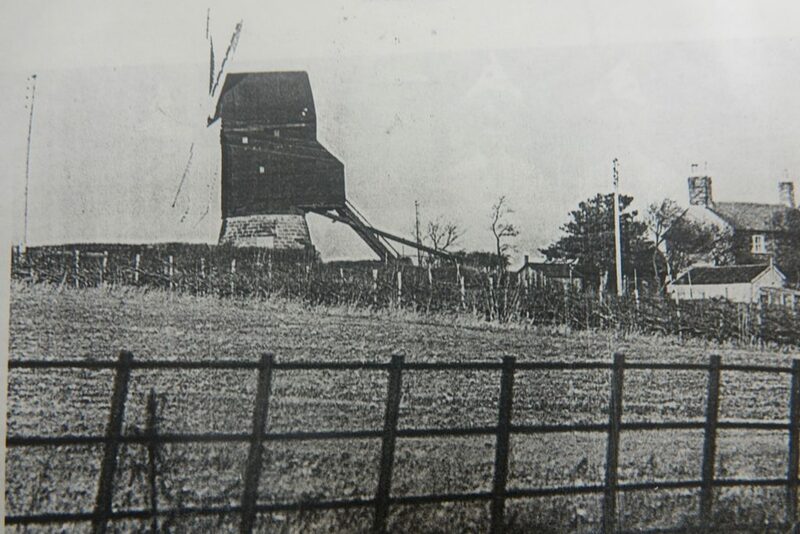 Skidby Mill, Cottingham still stands and modern photographs show a very similar mill to our photograph, although there are adjacent buildings which don’t appear on the archive photograph. We would welcome any comments on the items that are in the archives and any additional material would help to build a record of these now gone village landmarks. Please contact the archivist via this website if you can help. Mill – Cottingham or Collingham? 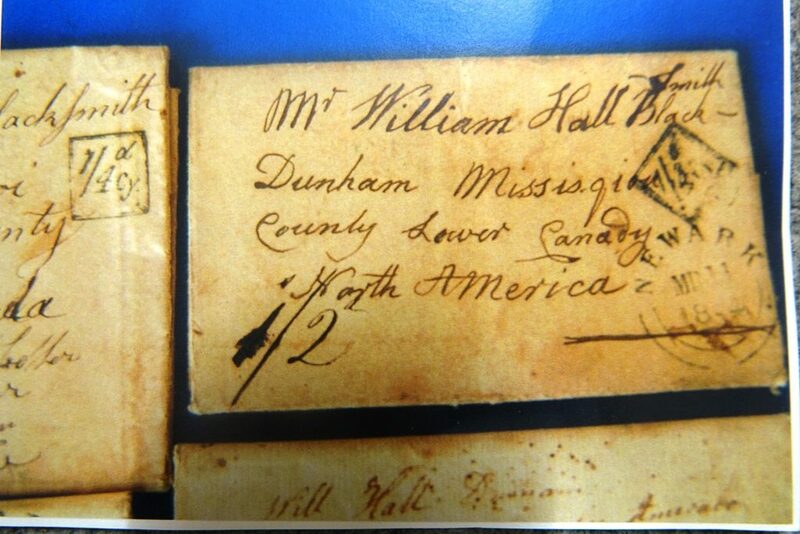 The following letters have spent most of the last 180 years, bound in their leather wallet, in the house built by their recipient, William Hall, my great-great grandfather. They were written by his father Samuel and sister Hannah from Collingham, England, near Nottingham. William and his wife Ann Watchorn and son William Jnr, along with William’s sister Elizabeth, had emigrated to Dunham Quebec in 1834. I do not know who the last person to read these letters in their entirety might have been. I never discussed them with any of my older relatives, who knew of their existence. Now they are all gone. There are no revelations in these pages, no juicy historical nuggets; just day to day life coupled with a very real sense of loss and yearning and love. Transcribing this material has been a labour of love and a rare privilege. I have been faithful to the text in terms of spelling, capitilization and punctuation (very little). Sam Hall’s writing was difficult to decipher at times, but because he wrote more or less phonetically, his voice came across the centuries as clearly as though I were sitting by the hearth in his cottage with him. I hope you can hear his voice too. The donation to be seen in the Archives consists of Brent’s typewritten transcriptions as well as photocopies of the original letters (Image 1). The originals show that people made full use of the sheets of valuable paper. The letters are full of details about the daily life in Collingham, with news of people that William would have known before he emigrated. Names of old Collingham families such as Sheldon, Woodcock and Bocock, who are still represented in the village today, appear throughout. The cost of produce and the difficulty of making ends meet give an idea of the hardships of ordinary people in these years. The first letter is dated April 12th, 1837 and the last is August 29th, 1846. 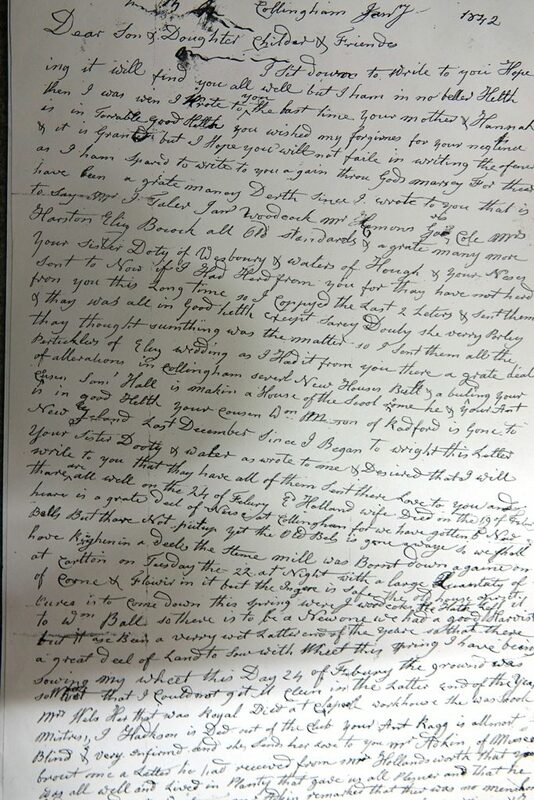 In her last two letters Hannah has to inform William of the death of his father in 1845 and his mother in 1846. Hannah herself has married and there are no further letters in the collection. There are also photocopies of some of the envelopes (Image 2), with such limited address detail that it seems amazing that they arrived safely. 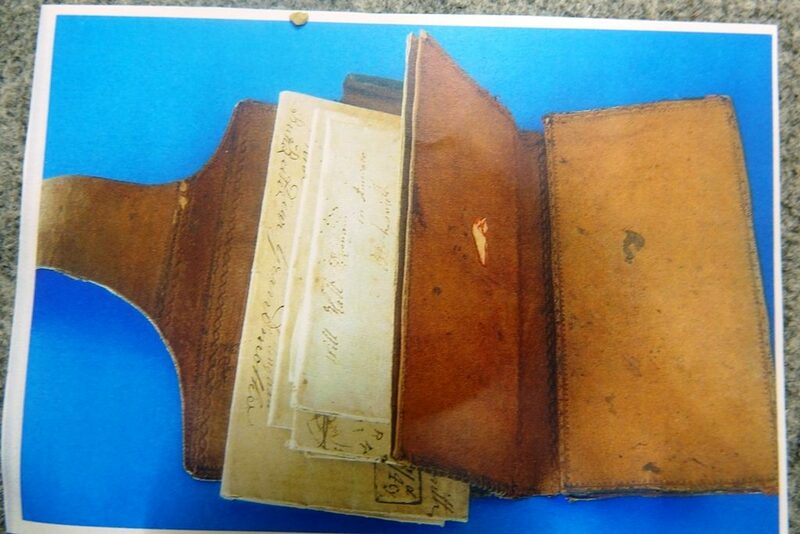 Also included are photographs of the leather wallet that kept them safe for nearly 180 years (Image 3). The Archive reference for this collection is EF/AA/HAL.